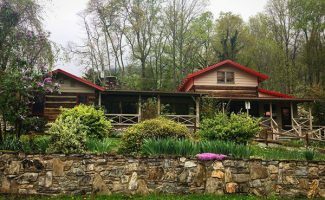 Cabin & Cottage Rentals at Mountain Joy Cottages in Maggie Valley, NC. 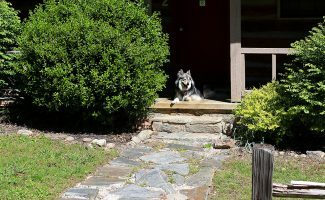 Welcome to Mountain Joy Cottages! 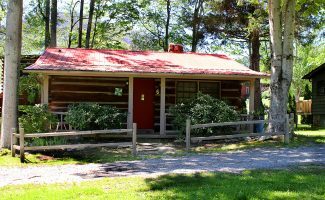 Once you have visited our Maggie Valley Cabin Rentals at Mountain Joy Cottages, you’ll become enchanted with its mountain charm, family atmosphere, and character. 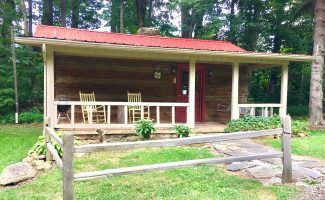 This land was originally the homestead of Maggie Setzer; who is the namesake of Maggie Valley, NC. 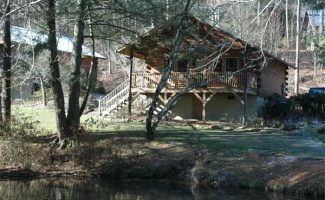 Become immersed in the beauty and history of this area from your own private mountain cottage or cabin. 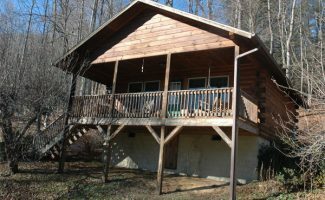 Our Maggie Valley Cabins and the land that Mountain Joy Cottages sits on is a special place in the Smoky Mountains. 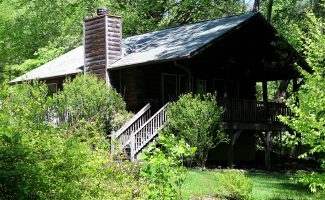 Our cabin rentals offer all of the modern conveniences you would expect with a year-round access and a seclusion that very few can offer. 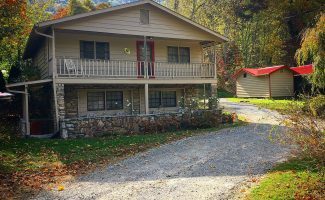 Relax in our peaceful country park like setting, surrounded by panoramic mountain views, with streams and ponds in your front yard. 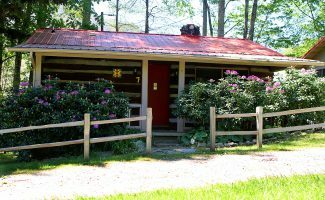 Mountain Joy Cottages feature amenities such as wood burning fireplaces, Wi-Fi, cable TV, BBQ grills, picnic tables, porch swings and rocking chairs, central heat and air conditioning, and fully equipped kitchens. Just remember to bring your favorite recipes! Enjoy our large glass enclosed seasonal pool and hot tub area. 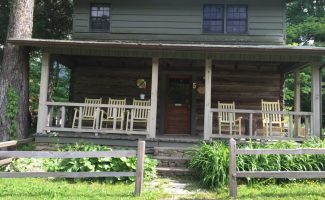 Look forward to relaxing on your private front porch or a swing for two in the two acre meadow. Try a game of horseshoes while your children play happily in our playground or if fishing is up your stream, fish for dinner or for sport in our stocked trout pond right outside your front door. 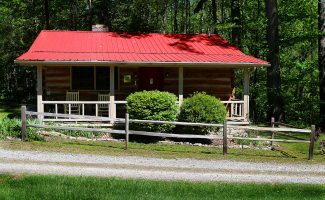 Our individual one to five bedroom Smoky Mountain Cottages are available to you year round. 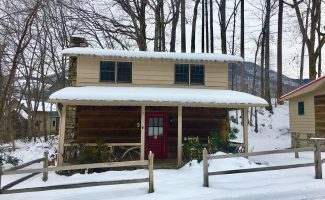 Enjoy a romantic getaway for 2 in our new Romance Cottages complete with a wood burning fireplace and a Jacuzzi Tub in suite.